I was at the mall the other day with my wife and son and we ended up in the kids section in Nordstrom. 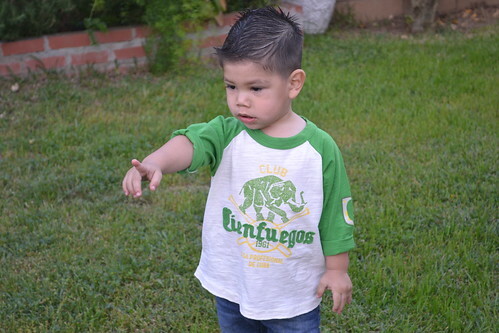 It's a Club Cienfuegos shirt. 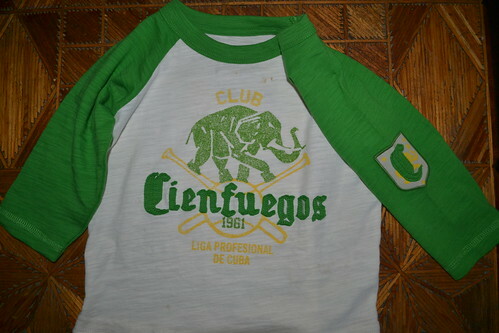 The Elefantes de Cienfuegos is a team in the Cuban baseball league.Why is Nordstrom selling Cienfuegos shirts? How weird is this? Just random. Of course I had to buy it. Plus Yasiel Puig played with Cienfuegos. And if you watched the World Baseball Classic, you might of seen Jose Abreu? He also plays for Cienfuegos. Here's 2 videos of Puig playing for Cienfuegos. As you can tell, those jerseys are different. This one is a throwback shirt from the 50's and 60's. Puig is #14. I showed the shirt to my Cuban dad last night and he couldn't believe it. 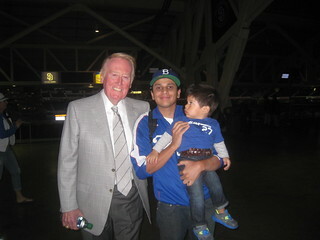 He says he was more of a Almendares fan than a Elefantes fan. My dad also wants to know if Nordstrom is paying Cienfuegos for this shirt. Yeah right. My son wore the shirt today. 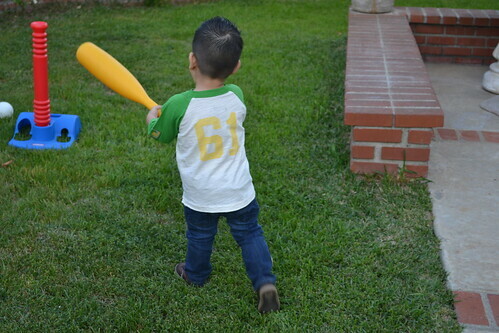 I'll make sure he wears it again when meeting a Cuban player. Very cool. Now I'm gonna try to hit up my local Nordstroms to see if I can get one for my lil boy. 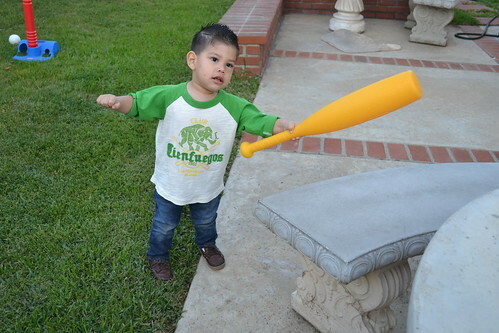 But man, it sure does resemble an Oakland A's shirt, right down to the colors and elephant! You're right. 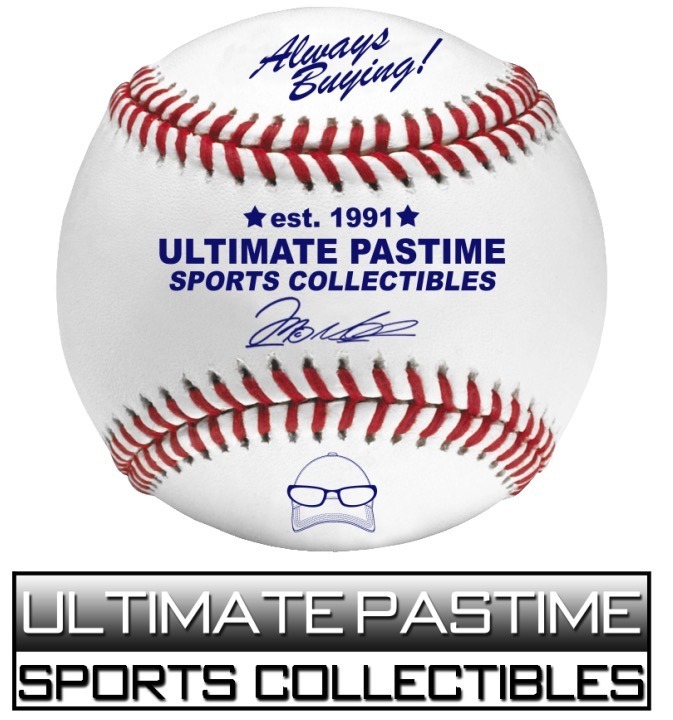 If you look for older stuff, reminds of the Philadelphia A's. great shirt! what a find!